For thousands of years, tracking animals meant following footprints. Now satellites, drones, camera traps, cellphone networks, apps and accelerometers allow us to see the natural world like never before. 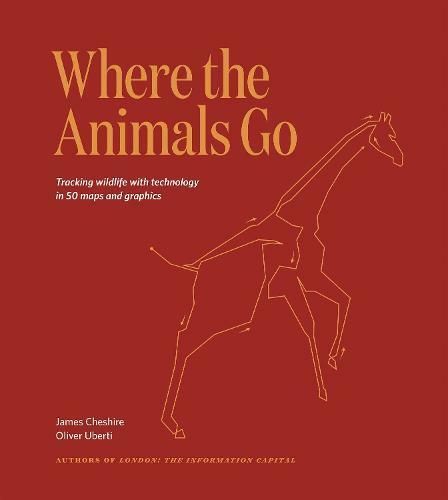 Geographer James Cheshire and designer Oliver Uberti take you to the forefront of this animal-tracking revolution. Meet the scientists gathering wild data - from seals mapping the sea to cougars crossing Hollywood, from birds dodging tornadoes to jaguars taking selfies. Join the journeys of sharks, elephants, condors, snowy owls, and a wolf looking for love. Find an armchair, cancel your plans and go where the animals go.